Lend a touch of natural style to your decor with this hand-woven rug. 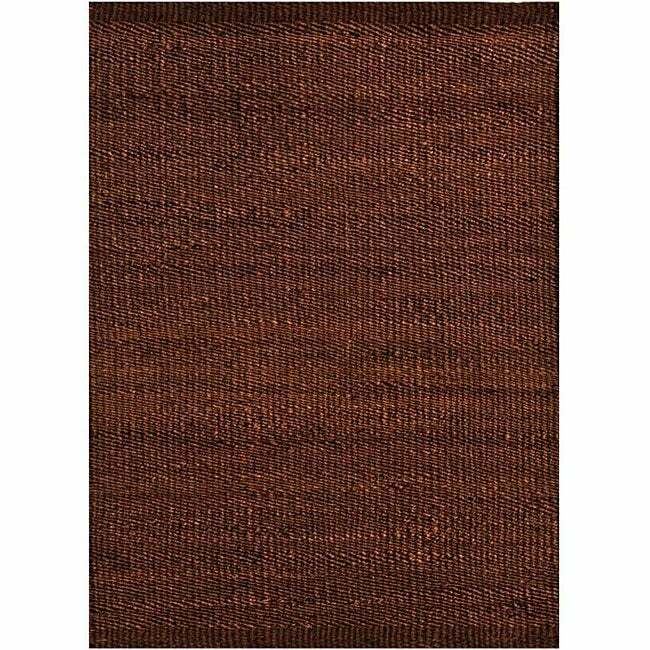 Constructed of durable jute, this area rug features a rich brown hue. 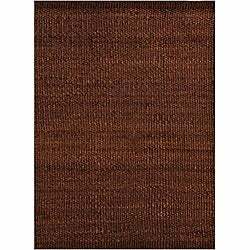 This rug is true to color is a rich brown and has great texture. I've used these as a base to cover an unsightly floor 9x16 and have placed a smaller 5x8 decorator rug on top of them. However, they could stand alone. You can ignore any comments about the odor of the rug. Jute almost always has an odor which disappears over time.. I wasn't sure what to expect for the price. When I received the rug I was very happy. Good quality. Color true to picture. Exceptional price for the product that you get. I was really unhappy with this jute rug. It was not at all what I expected. I was so disapointed that I move it from our family room to our patio. Decent rug for the money. Would not discourage from buying.